I've previously mentioned that I once interviewed a "reality based self defence expert" on my radio show. The subject came around to fighting in the ring/cage and he opined that he didn't spar because his techniques were "too deadly". Then he added that if he ever got into the ring/cage he didn't know what would happen. "I'd most probably kill someone," he said. Of course, the RBSD "expert" was full of it. Sparring isn't fighting, that's clearly true. But if you never spar (at least in some fashion), you never get past the starting block in terms of judging what you might or might not do in an unscripted environment. You never find out whether you might make your techniques work. "Aren't you always arguing in favour of traditional martial arts and against combat sport?" Yes, I draw distinctions between civilian defence and combat sport objectives. I make observations about technical differences and pedagogies resulting from these objectives. 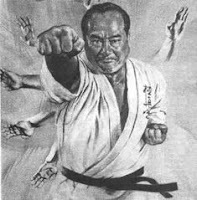 But I am under no illusions as to the fighting ability of MMA practitioners - or the lack thereof of most non-professional, part-time martial artists like myself. It's an echo of that RBSD "expert". Lest I sound too harsh/critical of this school, let me make something abundantly clear: I think their activity (which appears to be mostly jujutsu) is perfectly fine. Indeed, I think they show a high level of skill in what they do. Potentially the techniques are quite useful - especially if applied in the correct context (and they aren't always in the above video; that's another quibble which I won't get into). 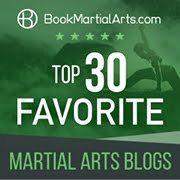 But I hold it to be self-evident that to be truly useful (whether in civilian defence, combat sport or any other form of fighting), such techniques need to be practised in a dynamic and ultimately (at least partially) resistant environment. You can't go around imagining your techniques will work in the ring/cage or, for that matter, the street when you haven't even tried (never mind succeeded) in applying them (or at least set them up) in an unscripted environment. And that's before we even start talking about resistance (which ramps up the difficulty in application). In fact, without free sparring application of some sort, I think you have no good reason to believe you'll be able to make your techniques work. Because if you can't set up your technique - even "sort of" - against someone who is just play fighting with you, what hope do you have of making it work when the pressure is really on; when your attacker is not only really resisting your own efforts but is simultaneously determined to beat the stuffing out of you? The answer is, of course, none. That's because you've never actually tried to apply your technique. All you've applied is some highly scripted, controlled and artificial precursor to it. You've applied an artificial exercise used to begin learning the technique - not the technique itself. It's as if you've practised your golf or tennis swing but never with a ball. So if I were to venture an educated guess, it would be that the above school bases its pedagogy almost entirely on "standing start drills". I might be wrong, but I'd be genuinely surprised if I were. 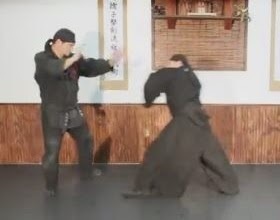 As commendable as their level of skill might be in doing what they do, I do not see "standing start" based systems as arts of fighting: rather, I think they comprise a form of traditional choreography. I do not mean this in a pejorative sense. Nor do I wish to imply that such an art is incapable of being practised/applied in a more martial way, should one choose to do so. 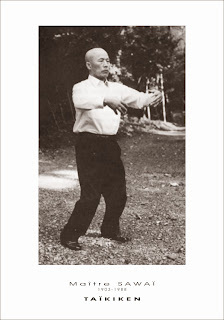 Rather, all I mean to say is that, essentially, the traditional pedagogy involves choreographed sequences: movements by a "defender" that follow a standard cue from an "attacker" - typically, a step-through lunge punch. Such a "punch" should not be confused with a realistic "attack". Without more, it is merely a cue; a whisper from backstage to initiate your own sequence. 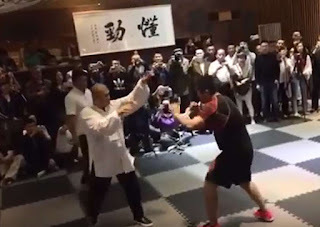 If you consider this judgement too harsh, remember that I'm not saying the "standing start" drill doesn't have a role in martial arts learning. Rather I'm saying that it is, in itself, insufficient to form the basis of a practical system. If you want to be a fighter, you must fight. Choreographed drills of this sort do not comprise fighting. If you would take issue with this, ignore for a moment the "standing start" drills (and I've previously acknowledged that they play an important role in any martial pedagogy). Focus instead on whether you think the attack is in any sense "martial". Watch the above video again. Look at the attack. What do you see? First, it is totally without realistic intent. Moreover, it is actually out of range. As you can see from the adjacent images, the defender steps into range as part of the drill. And I suspect that the practitioners of the school in question are, at least subliminally, aware of this limitation. Consider the following footage from the same people. What do you notice about the attacks? Many have been edited out! I guess half-hearted zombie attacks don't make for an impressive marketing video. I hold it to be self-evident that if your attacker in practice is only ever a zombie, you won't learn to apply your technique. Ever. 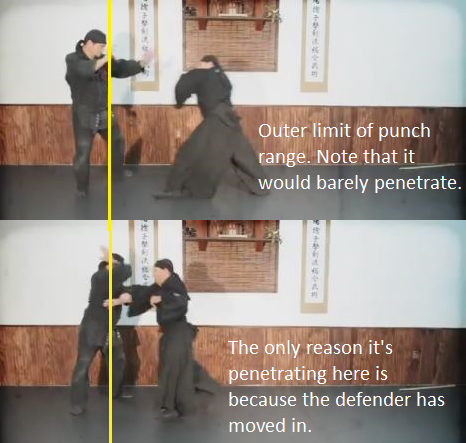 Judging by the techniques portrayed in the first video above, that's probably a good thing too; I've noted more than once the ethical problems with an Enter the Dojo style "overkill" that such schools typically market as suitable for "reality based self defence". Leaving tactical and technical disagreements aside, in the end, I have all the time in the world for a school like this to do its thing in terms of practising set techniques. Maybe they're doing an art form for art's sake. I'm more than fine with that. 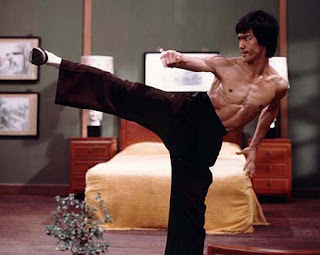 Personally, I no longer practise martial arts with a view to anything other than perfecting my form. 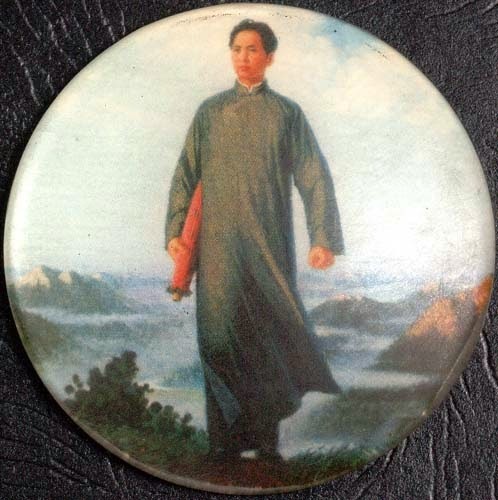 I train for "gong fu" - achieving a skill through effort. I don't practise martial arts to "fight". Nor do I think I should have to justify my practice on such a basis. 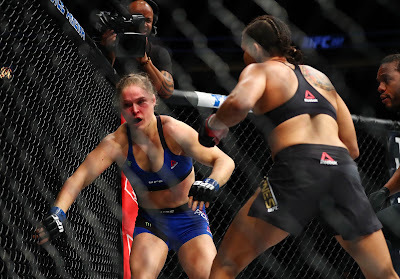 But if you're like me, you shouldn't try to predict what you'd do in the ring/cage. You shouldn't assume the street-effectiveness of techniques you've never even tried to translate from a scripted environment to an unscripted (never mind resistant) one. To do so would be pointless - as well as embarrassing. 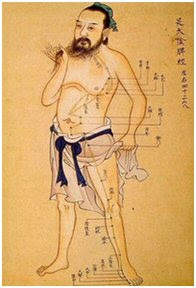 The practitioners of the above school seem to feel they are somewhat unique in that they practise techniques "banned" from MMA by rules. They aren't. 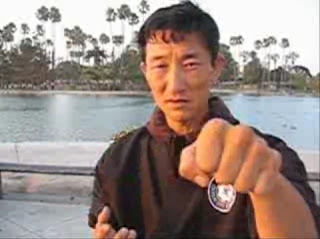 Practically every martial arts school, traditional or otherwise, teaches "illegal" moves in its "street defence" classes. 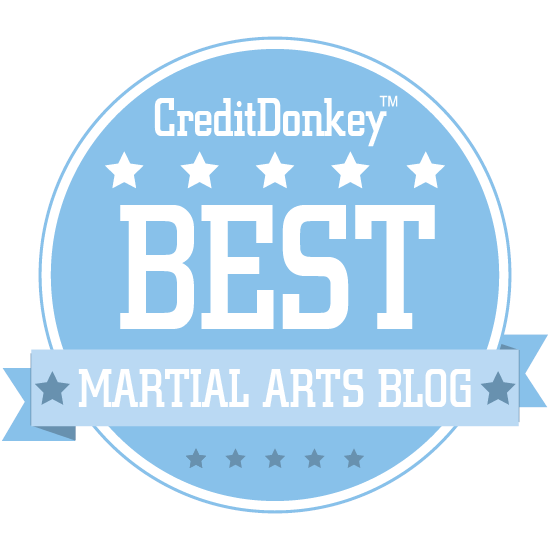 So in the end their point of distinction is left sounding hollow; a rather unconvincing marketing exercise that only serves to detract from both their image and that of traditional martial arts generally. There are many good reasons why this particular school is not represented in MMA. And they know as well as the rest of us that "being too deadly" isn't one of them. Sick of the ice bucket challenge?